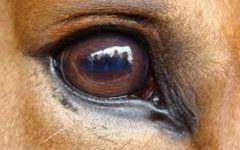 Keeping horses safe requires an understanding of just how fast and powerful they are. 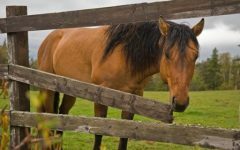 Horses are larger and faster than other livestock so impact with fences can be massive. Horses can gallop between 40km and 48km per hour. 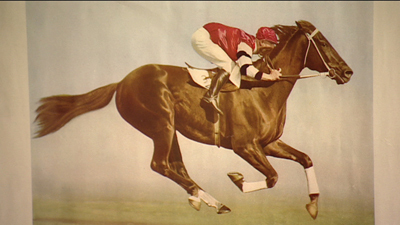 The record speed of a racehorse stands at 70.6kmh².This is incredible speed and makes horse impact on a fence equivalent in force to a car accident in a suburban 50km zone. 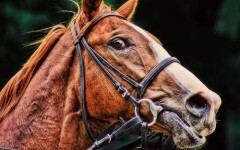 Perhaps more so as most drivers at-least get on the breaks before impact and horses when startled often don’t. It seems simplistic to say, but horses are very big heavy animals. 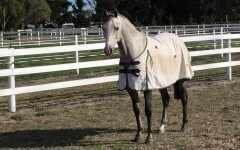 The average adult horse weighs around 500kg and the larger breeds like draft horses close to double that. 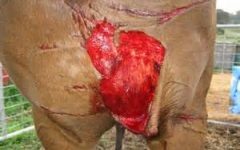 Size, weight and speed add together to make impacts enormous so they must be planned for when considering horse fences. All breeds of horses can jump. 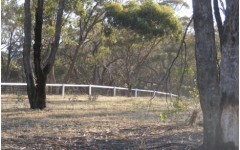 The world record (although there is some controversy over this, see Pony Box Blog ) is an enormous 2.47mtrs fence cleared by a Thoroughbread from Chille in the 1940’s. We don’t imagine trying to fence at this height but certainly recommend a fence at-least 1.3mtrs up to 1.5mtrs tall for most horses and on occasion for large stallions taller still. 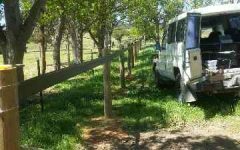 Therefore we need to plan our horse fencing with similar seriousness to a car manufacturer designs safety aspects of their cars. A mere throwing together of readily available materials, or reliance on tradition, may not be completely wise. 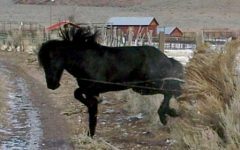 The test of a horse fence is not when horses a grazing peacefully but when frightened or playing and impact occurs at speed. 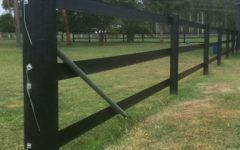 Your horse fence, whatever type you choose, needs to be able to withstand the impact yet also provide some level of give to minimise the impact on the horse. They might be easily startled but they are also very powerful animals making their flight instinct a big concern. 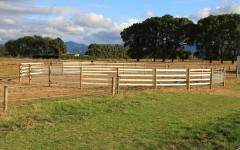 So what do we need from our fencing to help us in keeping horses safe ? 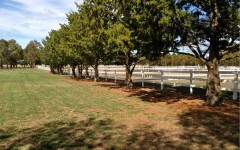 All horse fencing needs to give a little, but be sturdy enough to handle the impact. 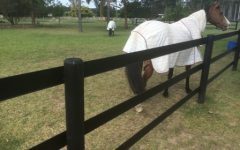 All horse fence attachments and fittings should be low profile. 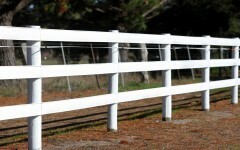 All horse fence material should have smooth edges and corners and be inherently non abrasive. 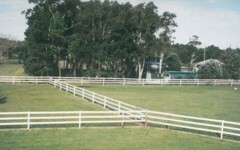 All horse fences need to be the appropriate height to have the upper rail in the horse line of sight. It also needs to be easily maintained so it can be kept safe. 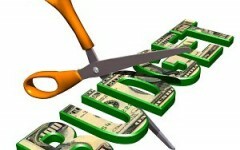 Cheap materials that are designed for temporary fencing or to be used in conjunction with sturdier materials. e.g. thin tapes and electrified wires. 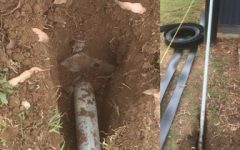 Unforgiving materials like star pickets, steel wire and timber rails. 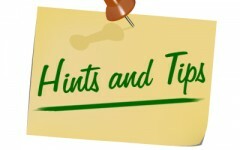 We hope our blog will help you in keeping horses safe. ²“Fastest speed for a race horse”. Guinness World Records. Retrieved 8 January 2013.